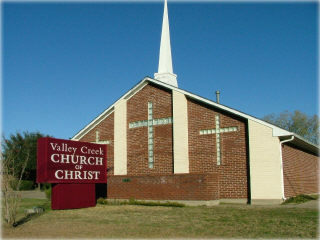 The Valley Creek congregation exists to glorify God, to serve God and each other, and to be a source of light, encouragement, and hope for our neighborhood. Welcome! We are excited that you have found us; please make yourself at home. If you live in the Mesquite area or will be passing through, we would like to invite you to attend our services.